Relationships are the soul of our Indian culture. Rakshabandhan is dedicated to the undying love of a sister and her brother. On this day, the brother vows to stand by his sister through every hurdle of life. Sisters tying the sacred thread(Rakhi) around the wrists of brothers symbolize attachment, which makes their relationship stronger. Apart from getting his wrist tied with a beautiful Rakhi, the brother owes a special gift to his lovable sister. Expensive or inexpensive, the gift is adored by all sisters. Even before Rakshabandhan comes, the preparations in each household begin. Selecting the best rakhi for her brother is the task of every lovely sister. Sweets are prepared the night before the celebration. On the other side, the brother starts preparing to make her sister more loved by buying beautiful gifts. This festival helps siblings realize the importance of growing up together. Rakshabandhan is celebrated everywhere now, as brothers and sisters live far away from each other. 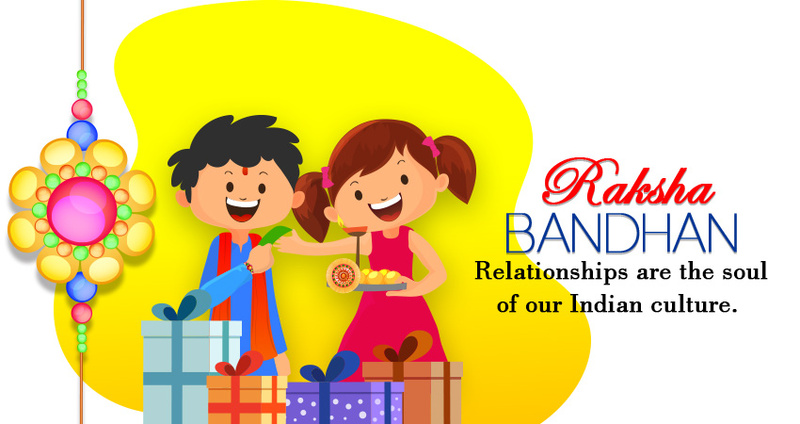 Many times it’s not possible to meet each other during the festive season due to unavoidable reasons, so they send Rakhi and Rakhi gifts to their siblings in order to keep the vibe of this festival alive along with the bundle of emotions. Though rakhis could also be bought through the online portals but many websites do not give the option of urgent delivery and take a lot of time for delivering the rakhis/gifts… Few others give only the option of limited payment option. Everything else can wait but addressing your love for your beloved brother shouldn’t. On this Rakshabandhan, opt for Meratask’s same day Rakhi delivery service and convey your tender love and care for your brother just in time. This sweet gesture is sure to make your lovable brother feel special and loved on the occasion of Rakhi. Meratask, a recognized and reliable pick-up and delivery service provide a one point solution for all these problems. We are renowned for our same day delivery service in Delhi/NCR. Don’t get surprised!! It’s the sweet truth. You just need to do the booking either through our website, i.e. www.meratask.com or through meratask app and their team will deliver the rakhis at your beloved brother’s place securely. So, all the sisters get a deep breath and relax this rakhi season with the excellent and affordable services offered by Meratask.